Filing taxes without preparation is like running a marathon without training. It is a long, hard go. With good preparation, filing your next tax return will be more like a walk in the park. So start getting ready now and learn how to make tax time a little less stressful! Create a practical filing system for your financial papers. 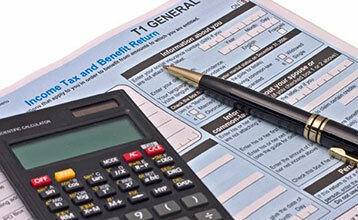 First, make files for the categories required on your tax return. When next year’s deadline comes, everything will be pre-sorted. Group non-tax-related items into categories, and make a file for each category. Keep a day-by-day record of all money coming in and going out. Close acquaintance with your financial situation leads to easy tax filing and eventually to prosperity. Keep receipts for everything, and make notes of small cash outlays. Update your records at least once a week. Pay bills on time and send invoices promptly. Acquiring this habit saves money and reduces bookkeeping. With simple bookkeeping software, easily track and calculate financial data. Spreadsheet programs, such as Excel and Numbers, provide tremendous flexibility and portability. File any piled-up documents for previous tax years. Get the job done with least effort by following this rule: If you touch a paper, file it. Securely dispose of any unnecessary documents. The assistance of a professional bookkeeper or accountant is valuable for saving time and effort, as well as for ensuring accuracy. On the Internet, you’ll find many qualified, low-cost virtual assistants who will help you to set up a good system and to keep it running smoothly.